International Journal of Research in Health Sciences,2013,1,3,140-152. 1-Assistant Professor, Department of Pathology, Karuna Medical College, Vilayodi, Palakkad, Kerala, INDIA. 2-Associate Professor, Department of Biochemistry, NMC, Raichur, Karnataka, INDIA. 3-Professor, Department of Pathology, Kempegowda Institute of medical Sciences,Bangalore, Karnataka, INDIA. 4-Associate Professor, Department of Biochemistry, FMMC, Mangalore, Karnataka, INDIA. 5-Assistant Professor/Tutor, Department of Anatomy, KSHEMA, Mangalore, Karnataka, INDIA. 6-Associate Professor, Department of Biochemistry, Manipal University, KMC, Mangalore, Karnataka, INDIA. 7-Assistant Professor, Department of Biochemistry, Kannur Medical College, Anjarakandi, Kerala, INDIA. The prevalence of Beta thalassemia trait (BTT) varies from 1.0 to 14.9 % in different regions of India. Over 9000 Thalassemic children are born every year and an estimated annual average consumption of 27 units of blood and 4 lakhs worth of drugs are needed to manage each Beta Thalassemia patient according to recommended standards. The prevention of birth of Beta Thalassemia major children lies on effectively screening the carriers (BTT). The objective of the present study was to compare the effectiveness of various screening tests in predicting BTT in microcytic cases, who were later confirmed by HbA2 levels on Cellulose acetate Electrophoresis. 500 cases with microcytosis (MCV < 80fl) based on coulter (Advia 60 – OT) were screened. 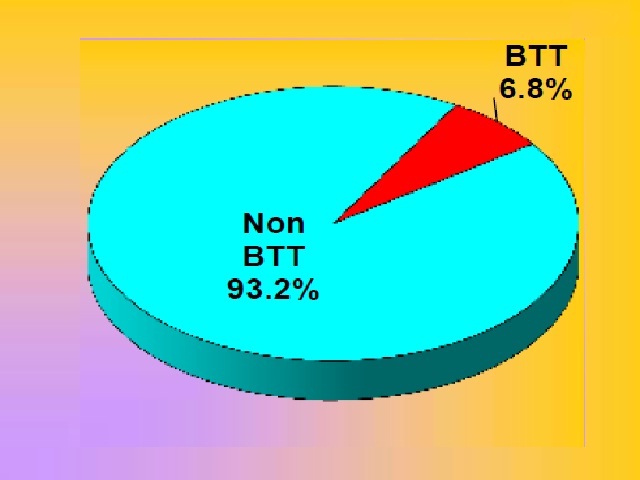 The five DF’s were evaluated for all cases to separate BTT and Non BTT cases. They are DF1 = MCV – [5 x Hb] – RBC, DF2 = MCV/RBC, DF3 = MCH/RBC DF4 = MCH x (MCV)2 / 100 and DF5 = RBC counts. All the cases positive for at least two of the 5 DF’s in the discrimination limits suggesting BTT were further screened with NESTROFT and confirmed for increased HbA2 by electrophoresis and elution. 100 controls were included (MCV > 80 fl). DF’s showed variable degree of sensitivity, specificity and positive predictive value. Mild anemia, RBC > 5 x 1012 / L, NESTROFT positivity with DF2 and DF3 were found to be the best combination after a multivariate logistic regression analysis to predict BTT.